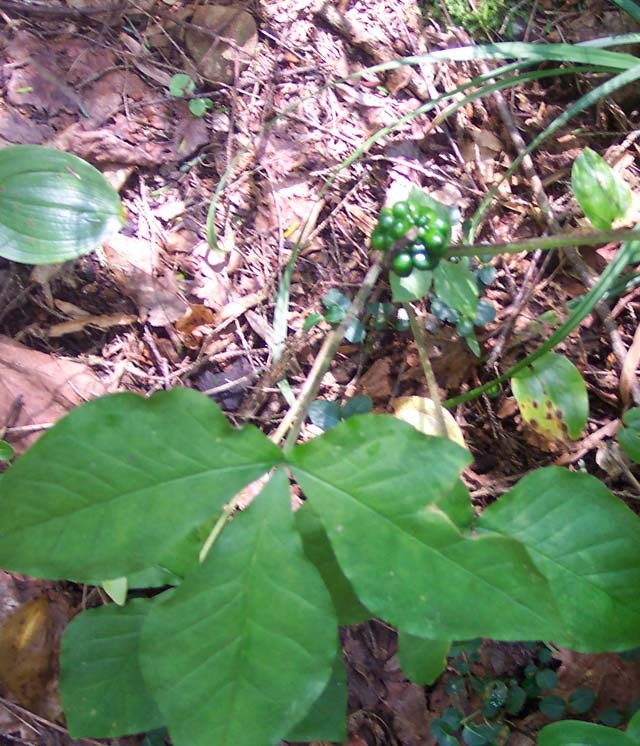 Jack-in-the-Pulpit, Arisaema triphylum: Location: G. Richard Thompson W.M.A., VA. Green Berries Location: Ramsey's Draft Wilderness, GWNF, VA. 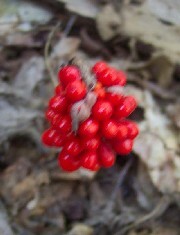 Ripe berries (The leaves have died back.). 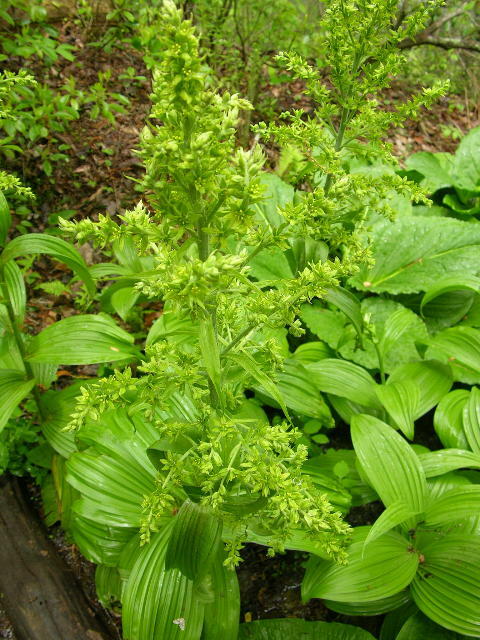 Location: BFT, PA.
False Hellebore (Veratrum viride): In the Lily family. 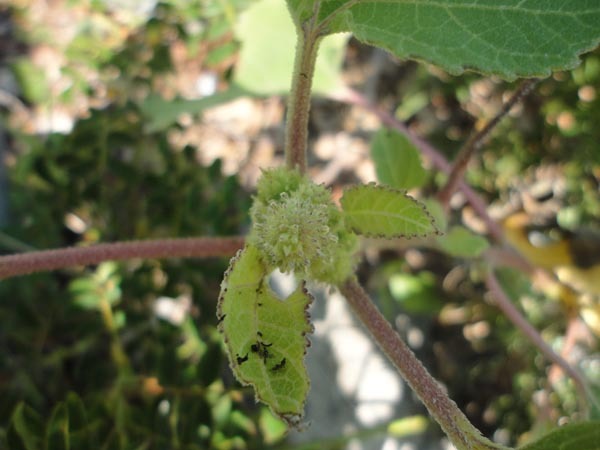 Green, star-shaped, hairy flowers on a stalk. 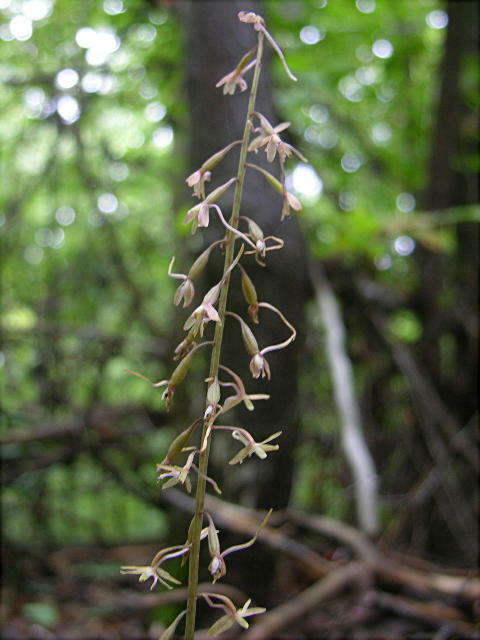 Grows in wet areas. Foilage and roots are poisonous. Location: Gunpowder SP, MD. Photo by Ken Clark. 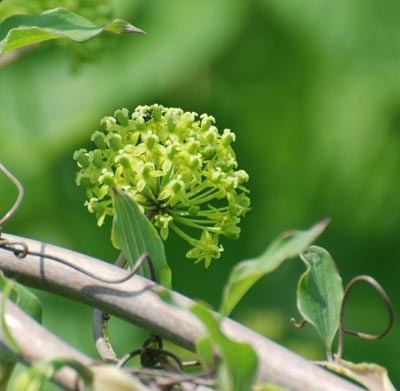 Carrion - Flower (Smilax herbacea): Green vine with broad, veined leaves. Smells like rotting flesh. You'll usually smell it before you see it. Blooms May - June. Photo by Anita Mueller. 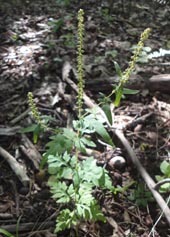 Ragweed (Ambrosia artemisiifolia): The yellow pollen from the inconsequential green flowers is the cause for misery for millions of allergy sufferers. 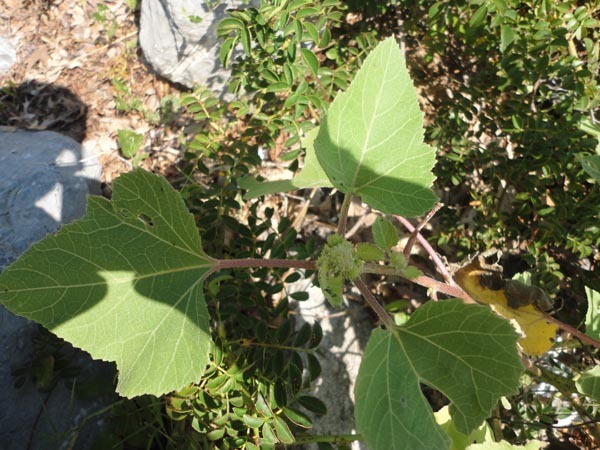 Sea-burdock (Xanthium echinatum):Large, roughly maple to arrow shaped leaves. 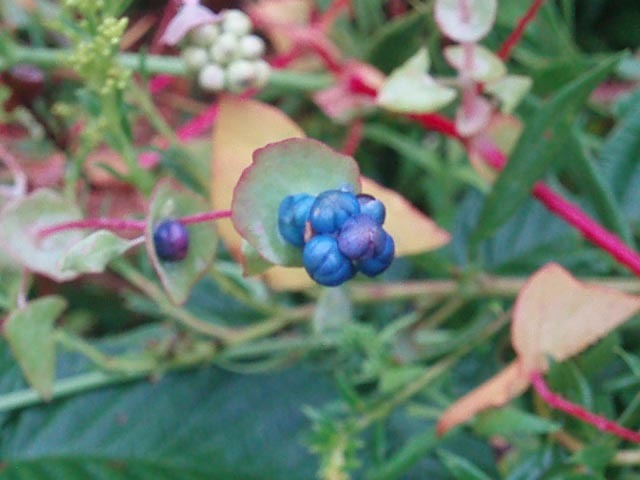 Flowers surrounded by bur capsules. Location: Downs Park, MD. Bunchflower (Melanthium virginicum): Creamy white flowers at first turning green or purple. 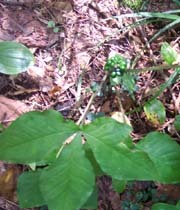 Narrow basal leaves. Meadows, wet thickets. Photo by Dimitri Tundra. 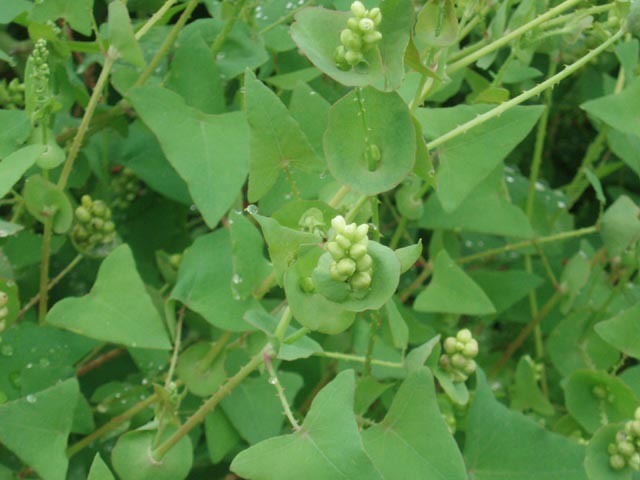 Mile-A-Minute (Persicaria perfoliata): An agressive invasive alien vine as the name implies. Quickly covers native plants. Location: Morgan Run N.E.A. 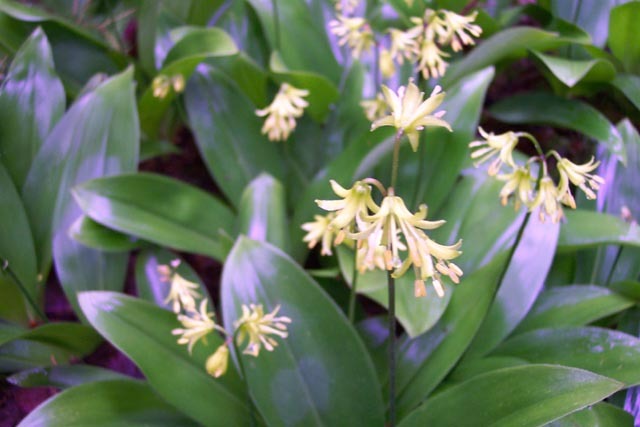 Yellow Clintonia (Clintonia borealis): In the lily family. 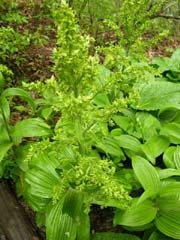 stalk rises above waxy, green leaves with 6 green/yellow bell-shaped, nodding flowers at the top. 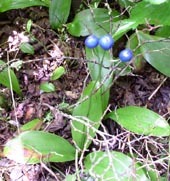 Gives rise to blue berries. Location: Big Beechy Tr, Cranberry Wilderness, MNF, WV. Berry photo by Dimitr Tundra. Smooth Solomon Seal (Polygonatum biflorum): Pairs of green/yellow flowers hanging below alternating leaves. Woods, thickets. Photo by Dimitri Tundra. Curled Dock (Rumex crispus) Note the curly leaves. Found in fields and waste places. Photo by Dave Bennick. 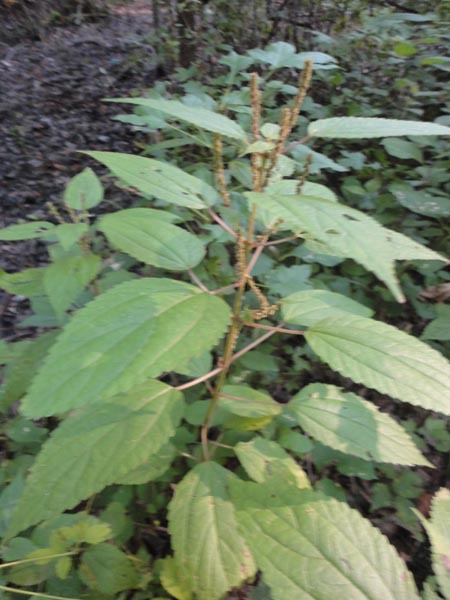 Stinging Nettle (Urtica gracilis): Grows to 4 feet, often shorter. 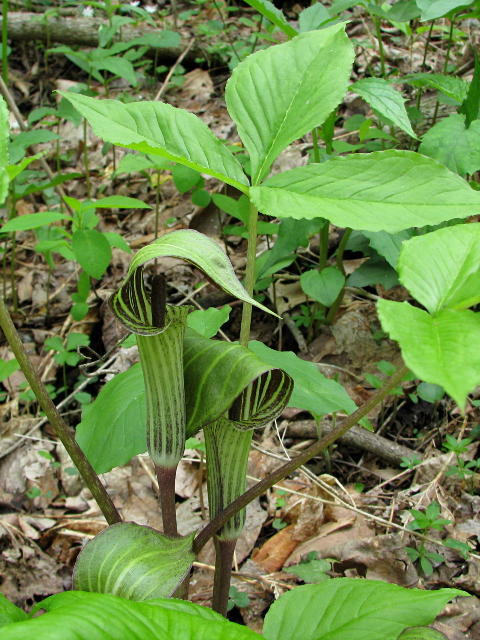 Small hair-thin needles on the bottom side of the leaves will leave you itching if you come in contact with it. Location: all over the SNP. 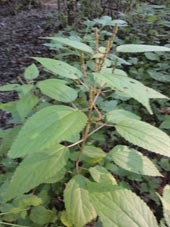 False Nettle (Boehmeria cylindrica): Leaves narrower than Stinging Nettle. Stinging hairs absent. Green flowers supported on upright stems. Cleaweed (Pilea pumila): Nettle-like in appearance bur w/o stinging hairs. 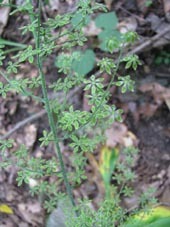 Notice the three deep parallel veins in the leaves. Fewer teeth than the previus two species and they are rounded. Photo by Dave bennick.